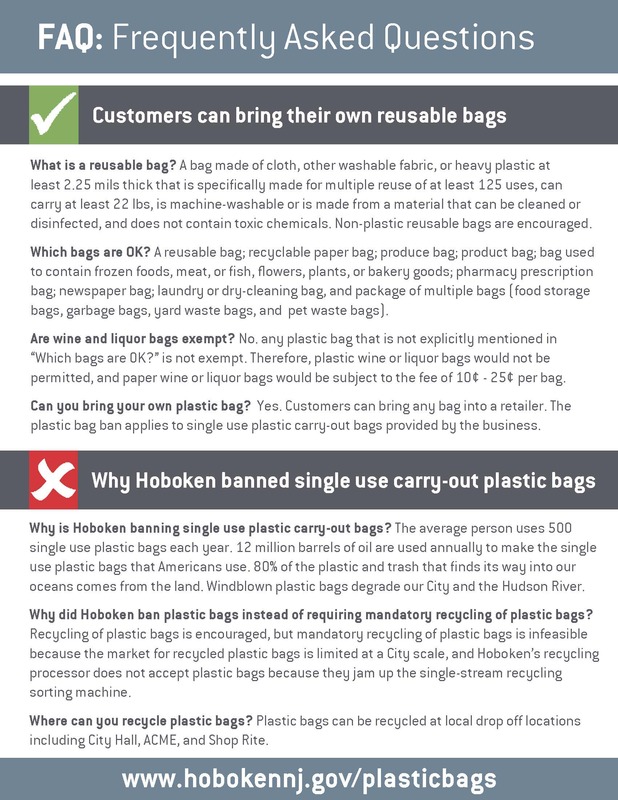 The City Council passed an ordinance banning single use plastic carry-out bags at retail and food establishments within the City of Hoboken. The ordinance went into effect on January 22, 2019. See the flyer and fact sheet below for further information. Retail and food establishments shall no longer provide single use plastic carry-out bags to customers. 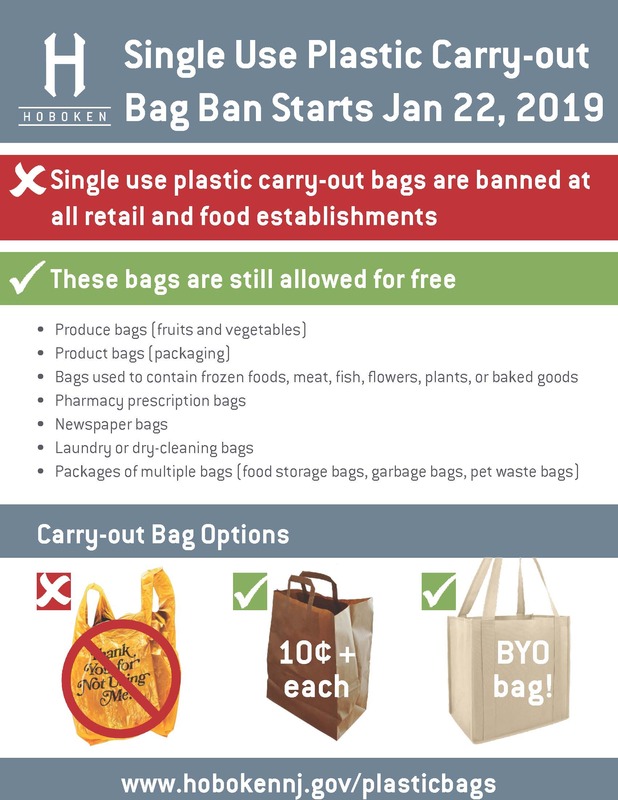 Instead, retail and food establishments shall encourage customers to bring their own reusable bags, and make paper bags available to customers for a fee of 10-25 cents per bag. 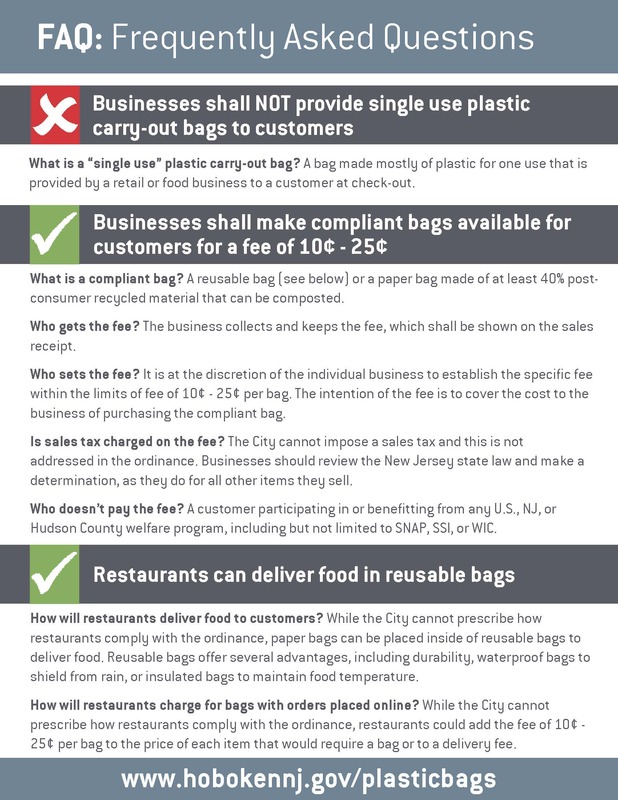 ‍Click here to see Hoboken's Single Use Plastic Carry-Out Bag Ordinance. Click here to request an exemption for extraordinary circumstances.